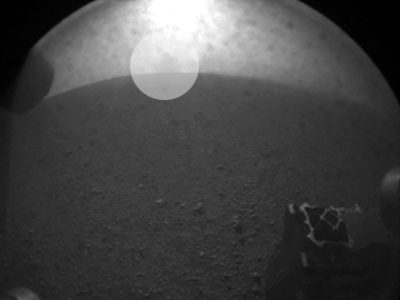 NASA’s Curiosity Rover has fired its laser for the first time, turning a small Martian rock into ionized, glowing plasma. The lasers are one of the most anticipated tests the rover is expected to make during its two-year mission to the red planet. 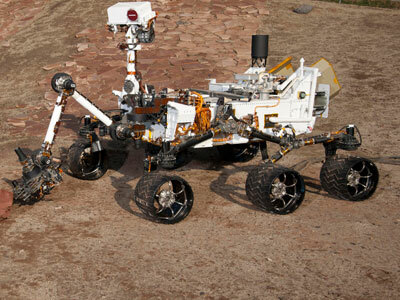 The rover hit the rock, which scientists have dubbed ‘Coronation,’ with 30 laser pulses in just ten seconds. The blasts, which carried more than a million watts of power in a five-billionth-of-a-second burst, immediately turned the rock into plasma. 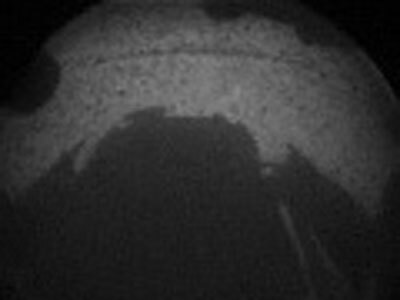 Shortly after the blast, Curiosity’s Chemical and Camera instrument, or ChemCam, caught the light from the plasma with a telescope and analyzed the specimen with three spectrometers, NASA said. 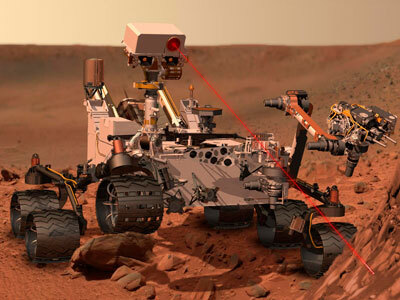 The spectrometers analyzed the sparks from the laser on 6,144 different wavelengths of ultraviolet, visible and infrared light to determine the composition of the vaporized rock. Scientists originally said the rock wasn’t chosen for any specific reason, but was merely intended for target practice. NASA later reported the rock appeared to be yielding more data than previously expected. Experts are now checking to see if the rock’s composition changed as the number of pulses increased. A change could reveal a different composition below the surface of the rock. 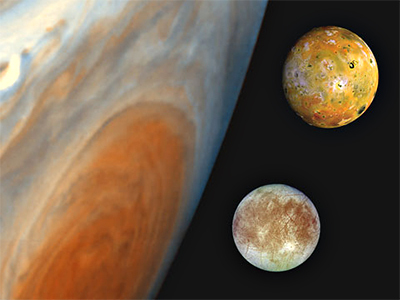 "We got a great spectrum of Coronation – lots of signal," Roger Wiens, lead scientist at the Los Almos National Laboratory said in a statement. The instrument has been planned for a long time, taking scientists nearly a decade to develop. "Our team is both thrilled and working hard, looking at the results. After eight years building the instrument, its payoff time," Wiens said. 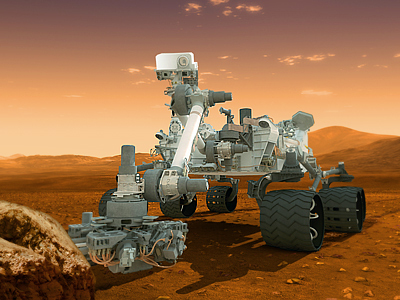 ChemCam is just one of the rover’s ten instruments that rely on the craft’s plutonium reactor. Scientists are planning for Curiosity to explore the Gale Crater landing site for the next two years, in the hopes of determining if the region ever offered environmental conditions favorable for microbial life. Curiosity will eventually drive 4.3 miles to the foot of Mount Sharp, a three-mile-high mountain rising from the crater floor. The trip will take up to six months.